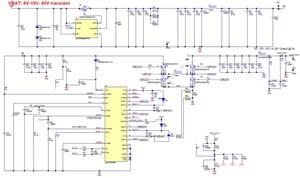 This reference design is a dual port 200W synchronous buck-boost utilizing the LM5176 controller for automotive applications. This design can operate from 6V to 40V, and output 5V, 9V, 15V, and 20V at 5A. Output adjustment is achieved using TPS25740B power delivery controller. Two ports are operating independently, and each port is synced via an external clock with 180 degree out of phase. 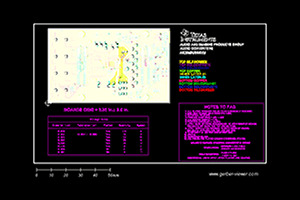 Switching frequency is set to 220kHz, and a 4 layer PCB is used.